Come see key vintage Harbour surfboards, photos, art, tools and other classic memorabilia on display at the SHACC. We also have an epic reel of 60’s film footage that will be running. 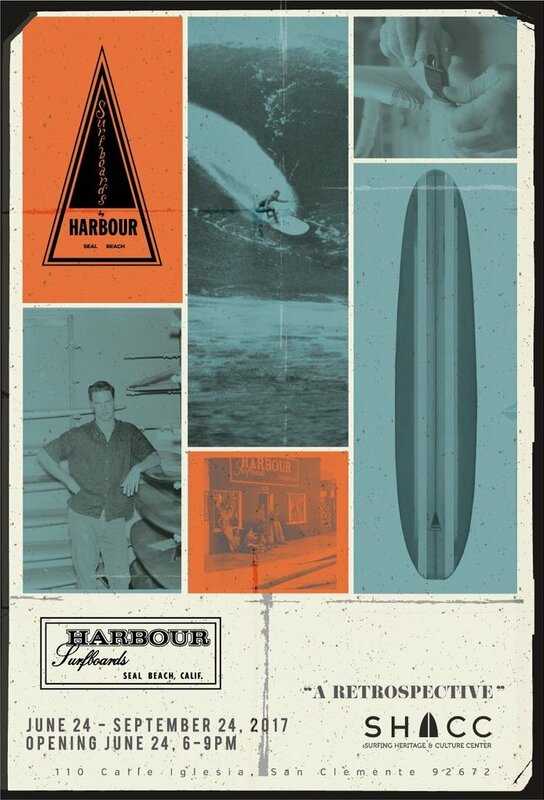 The exhibit,”‘Harbour Surfboards, A Retropsective” opens June 24th and runs all summer to September 24th. Please join us for a very special opening night June 24th 6-9pm here at the SHACC. Rich will be present providing surf stories, we’ll have a limited edition t-shirt (thanks to the folks at Quiksilver!) commemorating the show and we will be raffling off a decorative curly redwood D fin handmade and signed by Rich Harbour! Food, drinks, surfboards, surf legends and stories – it will be an evening to remember!